Folks, I could tell a long rambling story here, blow by blow accounts of the heroic deeds of a blacksmith, a hunter, and a scholar, normal folks who almost saved the day as the last hope of the kingdom of Fahrul. I could talk about their exploits fighting such evils as the Hangman, the dread King’s Maze, and the seemingly humble (yet devilishly agile) Imps. But a lot of this would distract from the fact that these are stories I made up, based on some damn fine procedural RPG play. 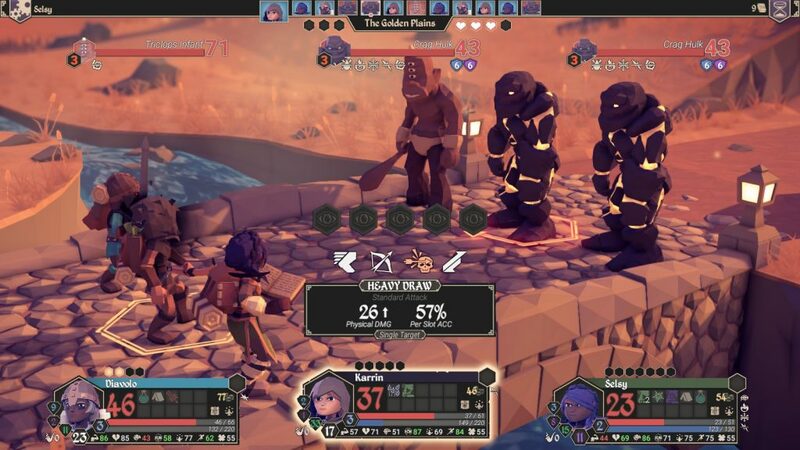 So yeah, For The King is a procedurally generated RPG, with a lovely low-poly board game aesthetic, where balancing aggressively pursuing quests, and biding time to make sure you can really take on that dungeon. Move too slow, and things get more dangerous, until eventually, you either fall, or the world ends. Move too quickly, and you’ll quickly get out of your depth. 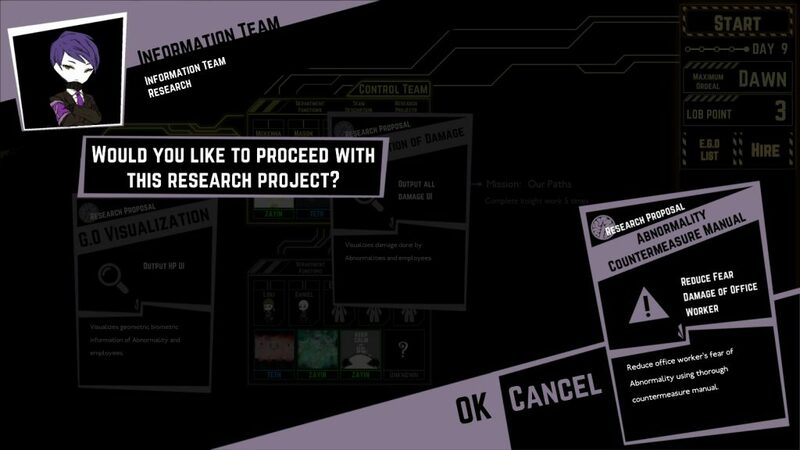 Thankfully, the game’s pretty good at giving you some idea which end you’re tending towards, play by play. And it feels pretty good, with a fair amount of depth to it. Enough that I’d have a little trouble describing it all without this review feeling more like a feature list. Oh, hey, here’s a cast of characterful enemies, from the Triclops Infant that… Well, I feel bad killing these, because their main attack is “Fall over really heavily on top of you.” I have the option of sneaking or ambushing, but that XP is direly needed, because I have to take on the Mind Melter. The animations are great, with visible representation of your equipment on the well crafted low poly models, a real sense of impact to them, and the game tutorialises quite well. That it also defaults to the easiest difficulty mode is a real blessing, because yes, the game is pretty hard, even on the easiest difficulty. But also, oddly, gentle about that. It reminds you that you aren’t meant to win on your first try, or even your third (My third run on the main campaign, I got about halfway through), but getting further, seeing new and interesting monsters, made me feel… Well, like a badass. So… Good aesthetic. Good music, fitting without over-riding. A real feeling of impact, both on the world and the fights. Good tutorials. And a hefty amount of replayability, due to unlocks and the extra quests and classes that some of these unlocks represent. Multiple game modes. What’s not to like? Well, it’s best if characters stick together throughout, keeping close so as to have a full party. As such, multiplayer co-op (Where you play one character) is something that needs a tight knit group to work. Beyond that, though, there’s a lot done right with For The King, both in terms of mechanics, and in terms of feel and aesthetic. I foresee a fair bit of enjoyment with this one. The Mad Welshman could probably have said a lot more words. But basically, the game is pretty good. It’s important, with screenshots, to get across what the majority of an experience will be like. Well… This is a good screenshot. You pick a hero, of one of three elements, and some classes. 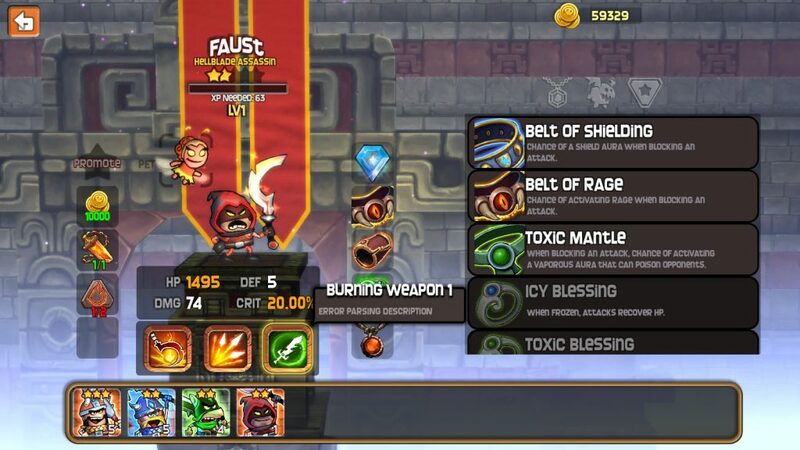 This element determines who they do more damage to, and who does more damage to them (Fire → Earth → Ice → Fire), and each hero starts with a basic attack (hammering the left key), a slam attack that gets rid of shields (hold the right key), a block for when something swings heavily at you (hold the left key), and a special ability (later becoming two special abilities and a Pet special ability, plus whatever the heck your equipped loot gives you.) You go through dungeon floors from left to right, only stopping to casually murder goblins, trolls, mages, and other assorted dungeon monsters, some of which are bosses. Beat a level, and a nice tune plays, you get some loot, and you maybe get to heal up. That’s… 95% of the game, right there. Fire -> Earth -> Ice -> Fire. Simples! …For all that it’s meant to pander to my lizard brain desire, I find myself dissatisfied. 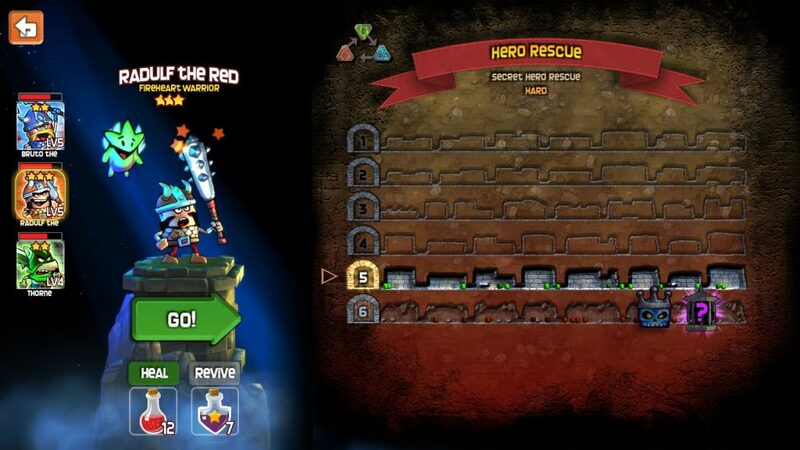 Maybe it’s the shop, random drops, 25000 coins (or one dungeon trip) to reshuffle the store. Maybe it’s that I don’t really feel that much in control, especially when dealing with mages (Who, due to the “Always runs right unless slamming, blocking, or blocked by an enemy” , often hit with their spells.) Maybe it’s that there’s no real sense of impact to the weaponry, only either quick kills (in the case of the mooks) or a bar whittling down. And I can’t really say those aren’t working as intended, because the design is clear enough that yes, this is basically what it is: A level by level damage race, running from left to right, occasionally getting items, a “secret” dungeon, or loot. It looks alright. Its aesthetic is consistent. But it just doesn’t really appeal to me. I’m willing to forgive missing descriptions this early in the process. The not being able to see all items when you have more than 4, less so. The Mad Welshman sometimes wonders. He wonders a lot of things, sometimes. 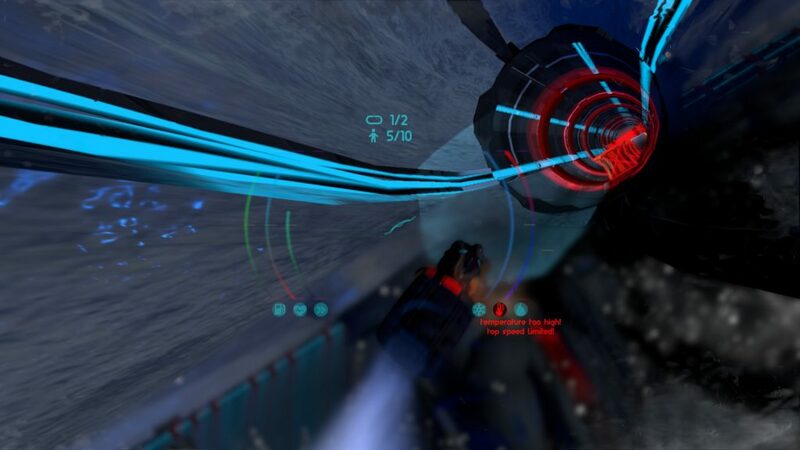 Cologne is an interesting idea: A tunnel racer, where the races determine sovereign ownership of planets. Okay, not a bad way to go about things, tunnel racers are relatively rare, and there’s a potentially interesting universe. 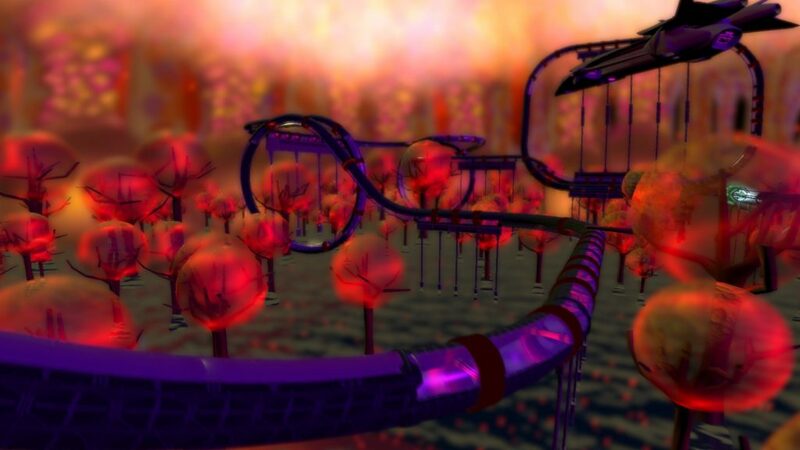 Many worlds, many tubes to race through to conquer them peacefully. There are, however, several problems, all of which add up. Some are quality of life stuff: Yes, I would like to see my controls in the options menu, and, heaven forfend, maybe even change them. I would (BEEP) like to (BEEP BEEP) turn off that (BEEP BEEP) godawful alert (BEEP) noise for the (BEEP BEEP) fuel and coolant levels being low, a (BEEP BEEP DAMMIT) common occurrence until you level up your fuel meters (or collect enough fuel to shut it up for a good five or ten seconds), and remember that you have to manually apply coolant. What kind of race are we running, in any case, where nobody has enough fuel or coolant to finish the race? Baffling. Similarly baffling is the jump, which very briefly goes straight up. I’ve mostly opted to avoid jump loops as best I can, because the timing is pretty tight. I’d like to skip the tutorials on first load, if at all possible, and definitely skip seeing the entire track every single time. 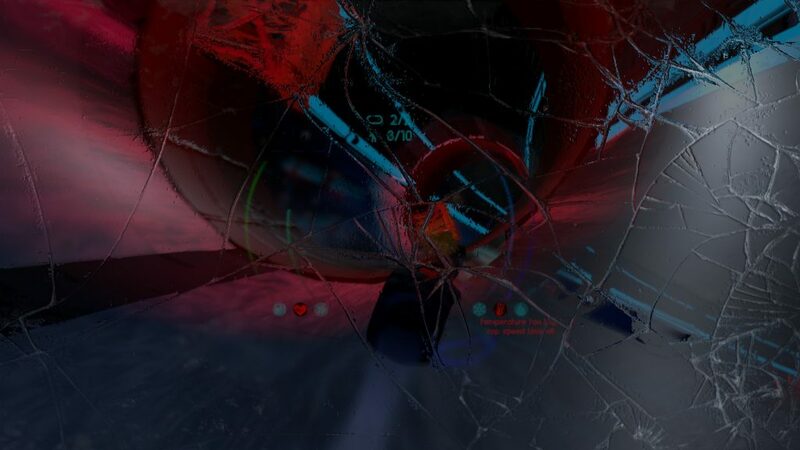 Oh, and turn off the shattered glass effect when I’m damaged, that would be good too. Can you tell how well I’m doing here? I’ll give you a hint: It’s not a 3. It’s unfortunate, really… There’s the kernel of a simple, possibly quite addictive tunnel racer in here, but it’s bafflingly undermined at every turn by its design decisions. When even racing on Easy tracks is an exercise in frustration, the world building isn’t really used to any great degree, and when common quality of life features are just plain missing, it’s extremely hard to find the niceness beyond “Well, it’s a good core idea.” Oh, wait, the pacifist element: You’ve no weapons, and are relying on skill. That’s something I like, but alas, it just isn’t enough. Cologne, unfortunately, gets no recommendation here at TMW. Which is a shame, because I do like my Future Racing games. So many worlds, so little time. Well, in the middle of savouring the drink, a high velocity round, the only one the sniper has, enters through my ribcage, putting paid to my dreams of living high on villainy. My opponent calmly explains how they tagged me: They knew that the Pub was a git to see the statues in, so they suspected me from the get go, but it wasn’t until the guest list disappeared that they were sure. So close. The next game, they also steal the guest list, but on the move, so, instead of my rightful suspect, a diplomatic incident is created as the harmless old lady, who was enjoying a nice G&T, is snuffed out due to a case of mistaken identity. 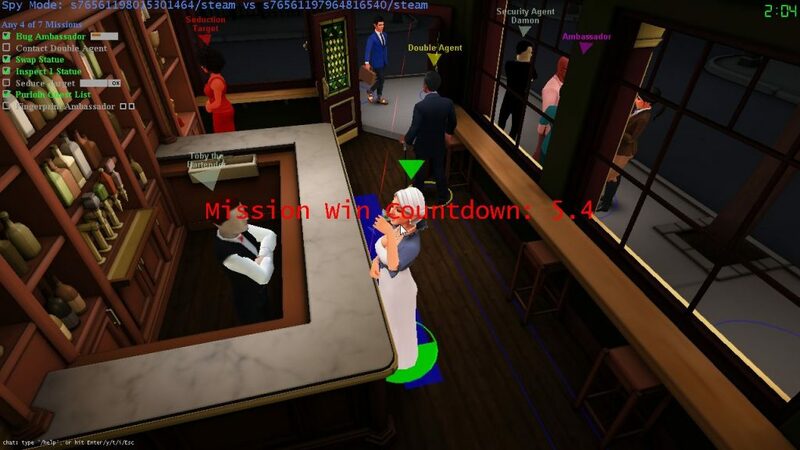 Spy Party is a simple game, in one respect: There is a sniper, whose laser sight is visible, and who has one bullet, watching a party in one of several locales. There is a spy, who has to achieve a certain number of missions without getting sniped. 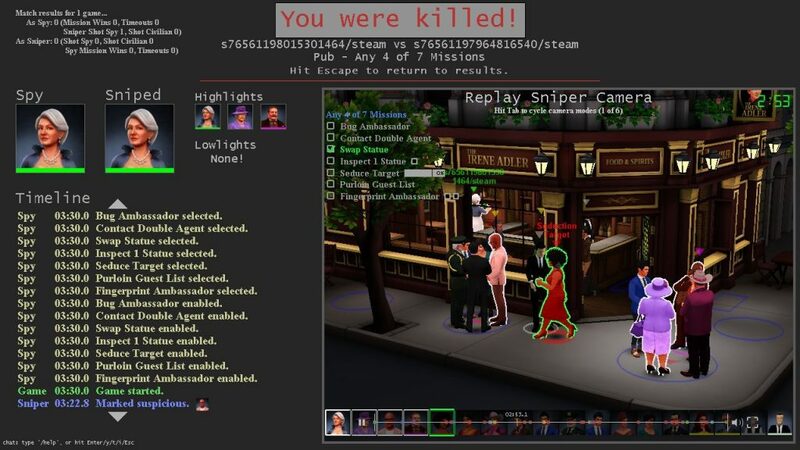 You would think, considering that the possible objectives go up, but the number of objectives to achieve remains roughly the same through most of the difficulty levels, that it would be stacked in the spy’s favour: Anything up to 16 guests, only a few of which can be ruled out (due to being targets for the spy in one respect or another), and an average of 7 possible objectives per area. See? So obvious once it’s explained… But it caught me out. But it goes the other way, too. 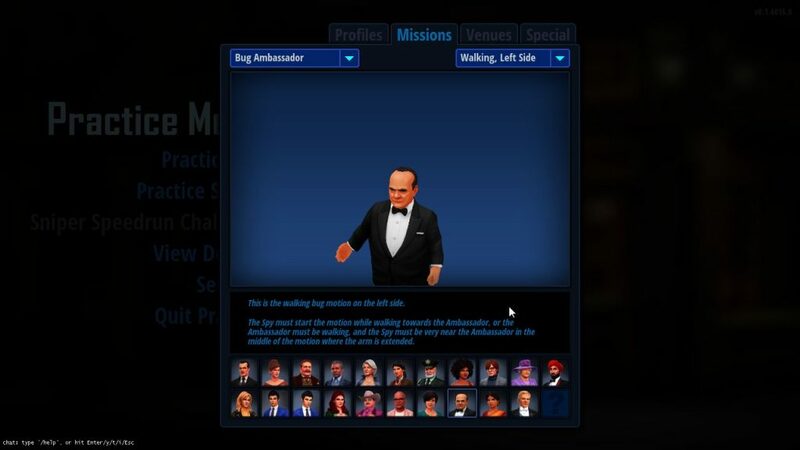 You can, if you’re clever (and a little lucky) grab the Ambassador’s briefcase, fingerprint it while walking, hand it to the ambassador, and bug them, all while strolling to the next conversation. One objective, and a part of a second, with no-one the wiser unless they’d already pegged you. A false contact, while the sniper’s looking at another of the two Double Agents, can get them suspicious of exactly the wrong people. There’s a lot of depth to it, and this is early days yet. It’s not all roses with Spy Party, although it’s a solidly designed game with a lot of depth… The lobby’s an old school IRC type deal, with a little reading of the manual needed to understand how to, for example, make your own room (it’s /mr “[room name]” , by the way) , but playing publicly is currently alright, with players often explaining how they got you. The Dossier, while not quite finished, nonetheless shows you what you can do, and is thus a useful source of tips… For both sides! 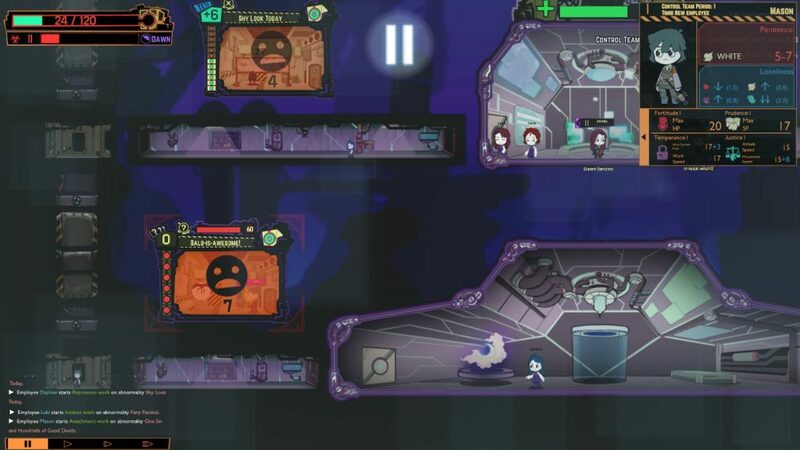 Spy Party is multiplayer only, but it’s definitely a multiplayer game I can get behind, one with depth in both perspectives, some good old fashioned psychological warfare, and a clever premise, well executed. 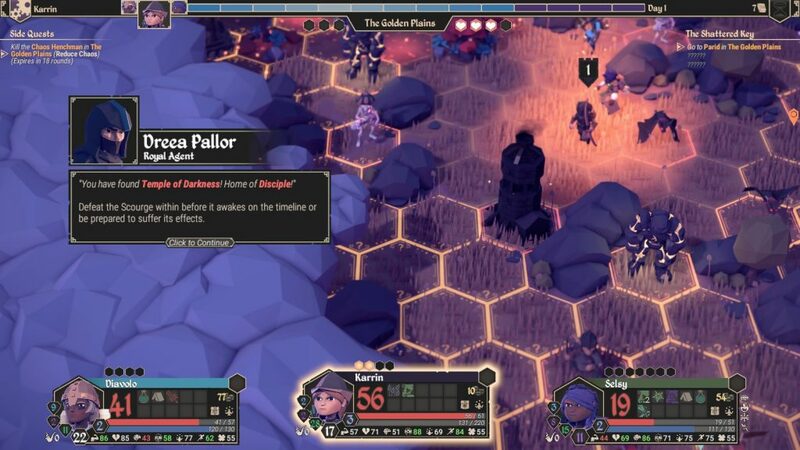 Games are 1v1, and, if you have friends, it’s best to make a room, but if you want a multiplayer game with thought required, this is definitely one to look out for. Lobotomy Corporation is, at times, a frustrating game. But then, I would imagine daily life in a corporation not dissimilar to the SCP Foundation would be rather tense. Here’s the bird that punishes sin. Looks small, but it’s deadly. Steve has a cloud of fairies around him. He’s heard about what happened to Mike, so now he’s exclusively on fairy duty, and doesn’t argue. He’s too afraid of what would happen if he succeeded. Mary’s frantically turning the handle of a music box, tears streaming down her face. She knows that if she listens too long, she’ll feel bad things, but the music helps her forget what the thing in the shape of an old woman told her, and what she might tell her next time she has to listen to her stories. Things go horribly, horribly wrong. Oh, and in about thirty seconds, giant leeches are going to appear in the hallways, and devour Steve, Mike, Mary, and their friend Kira. But the energy has been harvested, so maybe the next day won’t be so horrifying, except that poor performance means budget cuts. Welp. Time to load that checkpoint… Or maybe start over. I haven’t decided yet. 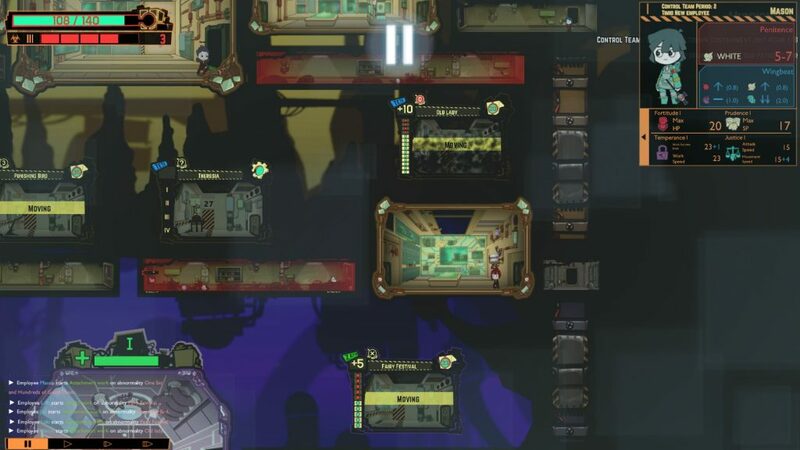 Lobotomy Corporation is, reductively described, a pausable management sim. It’s reductive because it’s got elements of roguelikes, like the fact that what you learn about the monsters stays unless you delete it, and that, each day, a new monster is added from a pool, so each run is a little different. 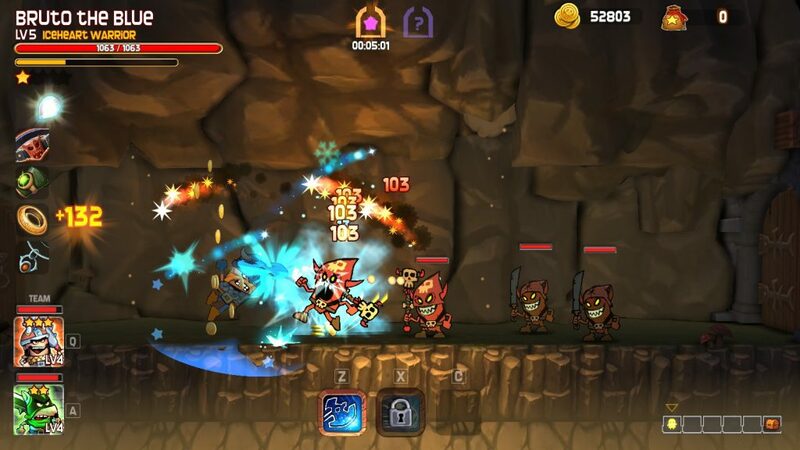 Similarly, the management end is essentially “Create the best kinds of armour and weaponry to keep surviving, and assign the right people to the right beasties for the best result.” Objectives, also, such as “Suppress 8 meltdowns” (Suppress, in this context, means “Beat the hell out of whatever monster has invaded/escaped, try not to kill everyone.”) help upgrade the department they’re given to. As such, it’s an odd mixture of frustrating and ho-hum. 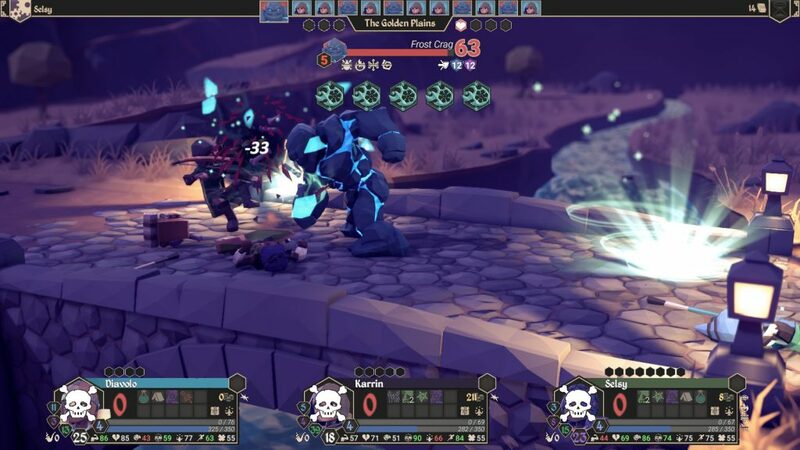 New abominations make life more interesting, and some of their quirks genuinely add depth and interest to play, but at the same time, that first time feels a bit like a roulette where a third of the segments are “Die horribly, do not roll again.” Once you know what the abnormal object or creature does, however, it becomes… Well, not tame. As noted, some outbreaks occur just by harvesting, and knowing what a thing does doesn’t help if you’re not healing or dealing with problems correctly… But safer, is probably the best word. I would still say that Lobotomy Corp is worth a go, because it’s one of the few games I’ve seen trying to tackle this particular subject from this angle, and it honestly doesn’t do a bad job. It’s more that, in accurately representing its source inspiration, it’s also getting across the frustration attached. 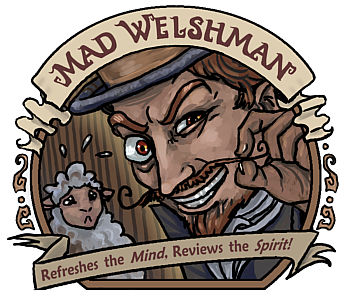 The Mad Welshman is, for reference, Teth O-O5X-9 , The Twirler Of Moustaches.